Pessimist, Vega, and Cooper aka Ruffhouse weigh in with a solid, more reserved follow-up to their crushing 'Pellet/Classified' weapon. 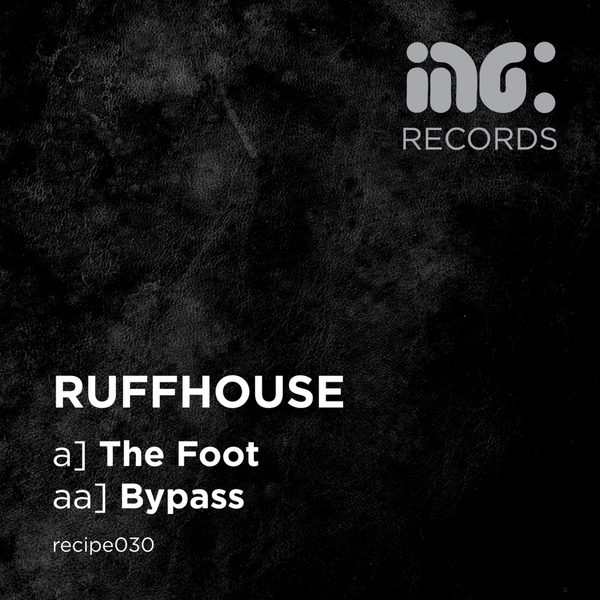 To us this sounds like D&B's answer to what the Fullpanda are doing in techno; darkly reduced, hypnotically droning and forceful grooves for intense dancefloor effect. 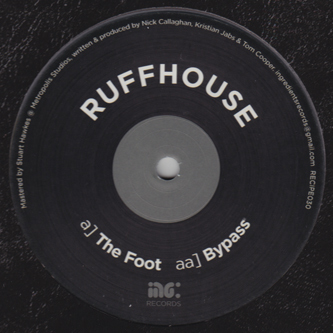 A-side 'The Foot' rolls out taut, muscular subbass and clipped percussion haunted by evil drones in tunnelling formation - think DJ Krust meets Adam X. B-side 'Bypass' holds down a monstrous halfstep swell slapped up with ricocheting rimshots and body-scanning synth sequences.